Micro Fiction: Gift or Curse? The gods’ gift felt more like a curse. 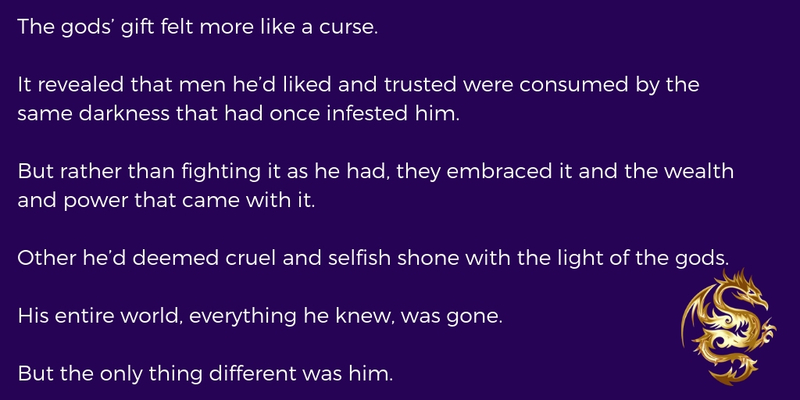 It revealed that men he’d liked and trusted were consumed by the same darkness that had once infested him. But rather than fighting it as he had, they embraced it and the wealth and power that came with it. Other he’d deemed cruel and selfish shone with the light of the gods. His entire world, everything he knew, was gone. But the only thing different was him.